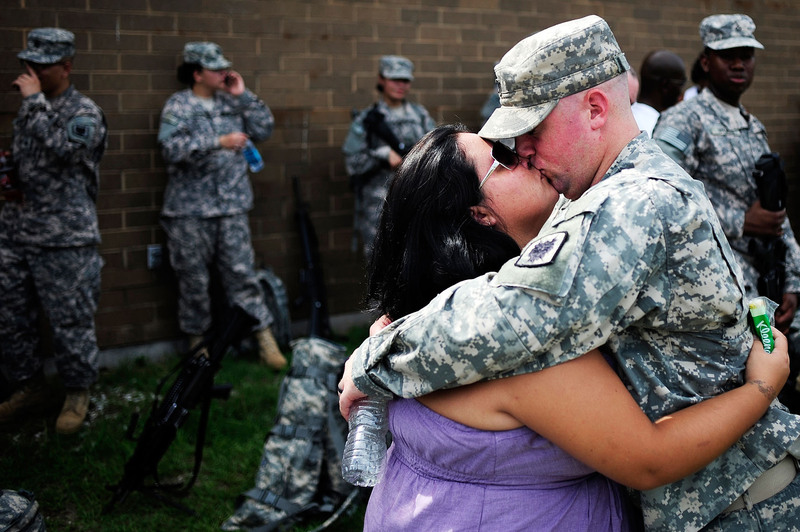 Jessica Turrell, left is embraced for a kiss from husband PFC Mason Turrell Saturday, Aug. 21 at Fort Gordon. The two met at community college in Michigan two years ago. "It's gonna be a long year," Jessica said.